The price of cryptocurrency is volatile, and the volatility could see prices trade upwards or downward rapidly within minutes or hours. In January 2018, Bitcoin was trading around $17,000; over the last three quarters, the cryptocurrency has lost about 56% and it trades around $6,600. Before the end of the year, some analysts have predicted that could be trading up at $10,000 and some bulls believe that a $20,000 trading price is possible. Unlike stocks or other traditional securities, the price of cryptocurrencies is not tied to any core fundamental analysis. Traditional investors who try to predict cryptocurrencies based on fundamental and technical analysis often find their models useless in the fast-paced world of cryptocurrencies. Nonetheless, below are five notable factors that have consistently proven powerful enough to influence the price of cryptocurrencies. Many people disdain the fact that cryptocurrencies tend to move on hype – but the disdain will not change the realities of the market. Influencer tweets, fake news, exaggerated promises, and misleading headlines could move the price of cryptocurrencies positively or negatively. Some traders choose to ignore the hype and trade cryptocurrencies purely on its merit as a disruptive force across target industries. Some other traders choose to ride the hype in buying coins during the rumor phase and selling the coins when the hype become public. If you are buying a coin for its long-term prospects, you can choose to ignore the hype around you. If you are trading coins for short-term gains, ride the hype and exit your trades before the hype simmers. Cryptocurrencies are essentially digital money existing outside the direct control/influence of governments or its agents. Nonetheless, the government has the law and the instruments of state at its disposal. Government regulations to encourage or stifle cryptocurrencies could trigger uptrends or downtrends in the prices of cryptocurrencies. The decision of the United States SEC to ban ICOs dampened the cryptocurrency exuberance. Conversely, you can expect the cryptocurrency markets to return to winning ways if the U.S. or any major country recognizes Bitcoin as a legal tender. Another factor that subtly exerts enormous power on the pricing of a cryptocurrency is its listing or delisting on a cryptocurrency exchange. One of the major differences between Binance and Coinbase for instance, is that Coinbase has listed a handful of coins whereas Binance has hundreds of coins listed. However, the listing of a new coin on Coinbase will potentially cause the coin to record a bigger price surge than could be expected if the coin was listed on Binance. Conversely, delisting a coin from an exchange is probably one of the biggest casualties that a coin could suffer – delisting a coin is essentially a vote of no confidence and very few traders or investors would be interested in a coin that got kicked out of an exchange. Cryptocurrencies are built on blockchain technology; hence, they are inherently decentralized and beyond the control of anyone individual or group. The decentralized nature of cryptocurrencies however means that different people (or factions) with different agendas often have different views on what is best for a particular cryptocurrency per time. When these different ideas come into conflict the price of the cryptocurrency will become increasingly volatile because the market is often uncomfortable with uncertainty. The internal disagreements and politics of a cryptocurrency can lead to software upgrades or forking out of new coins such as Bitcoin Cash from Bitcoin and Ethereum Classic from Ethereum. 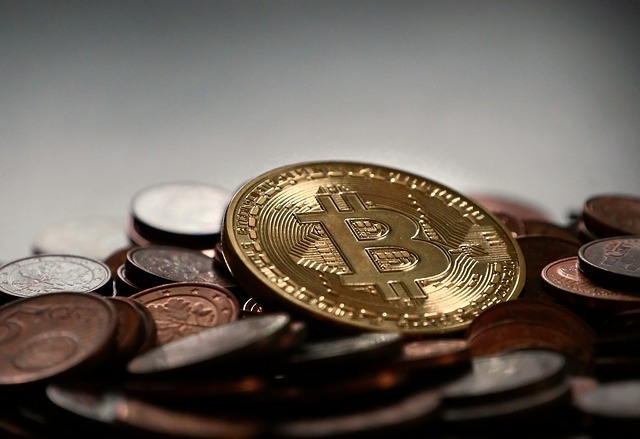 Cryptocurrency transactions are technically irreversible; hence, a successful hack often means that the stolen funds can’t be recovered unless the perpetrators are apprehended and are willing to return the funds they stole. In 2018 alone, at least $731 million has been stolen across successful hacks on different exchanges. Hence, any news of a cryptocurrency hack on a major exchange will most likely trigger a sell-off as traders try to convert their cryptocurrency to fiat before they lose their funds to hackers. Paying attention to news about hacks and how much cryptocurrencies was stolen in the hack could provide insights into predicting where the price of a cryptocurrency is headed. ← How to justify your Forex trading performance?